A Vietnamese woman accused of killing Kim Jong-nam, the half-brother of North Korea's leader, has pleaded guilty to a lesser charge of causing hurt by potentially deadly means. A Malaysian court sentenced Doan Thi Huong to three years and four months in jail, starting from her arrest in February 2017. However, under Malaysian law she could be freed by May, her lawyer said. Ms Huong would have faced the death penalty if found guilty of the murder. Mr Kim, the estranged half-brother of Kim Jong-un, was assassinated at Kuala Lumpur Airport in 2017 in broad daylight, with the toxic nerve agent VX. The development effectively means no-one has been held accountable for Mr Kim's death. "In the first week of May, she will go home," Ms Huong's lawyer Hisyam Teh Poh Teik told reporters at the Shah Alam court, outside Malaysia's capital. Her step-mother Nguyen Thi Vy told BBC Vietnamese the family was "very happy". "We have felt so thankful for all the support from the government, lawyers and communities," she said. 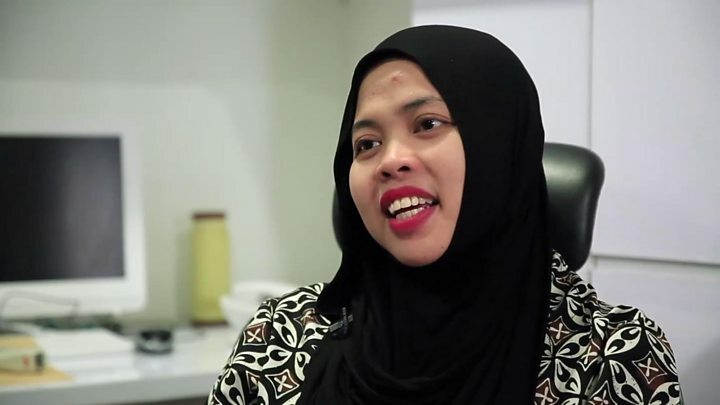 The judge's decision comes after Ms Huong's Indonesian co-defendant Siti Aisyah unexpectedly walked free last month, after intervention from Malaysia's Attorney General. Ms Huong's hopes of a similar outcome were initially dashed on 14 March, when authorities rejected her request for the murder charge to be dropped and said her trial would go ahead. She cried in the courtroom, and told reporters: "Only God knows that we did not commit the murder. I want my family to pray for me." Both women have always insisted they were innocent. They say they were tricked into carrying out the killing - which involved smearing a lethal nerve agent on the victim's face - and believed they were part of a reality TV prank. The BBC's South East Asia correspondent Jonathan Head says Monday's verdict offers Malaysia a face-saving way out of an embarrassing murder trial, but will also be viewed by many as justice for the last remaining defendant. However, it means neither defendant was able to testify and give details of how they were brought into the plot, or who recruited them. How was the murder carried out? Kim Jong-nam had been waiting to board a flight from Kuala Lumpur to Macau on 13 February 2017, when two women approached him in the departure area. CCTV footage showed one of them placing her hands over his face, then both women leaving the scene. Mr Kim died on the way to hospital from what was later found to be exposure to VX, one of the most toxic of all known chemical agents. North Korea has fiercely denied any involvement in the killing, but four men - believed to be North Koreans who fled Malaysia on the day of the murder - have also been charged in the case. They remain at large despite an Interpol "red notice", equivalent to an international arrest warrant. Media captionWhile in prison, Siti Aisyah wondered: "Is this the end of my life?"